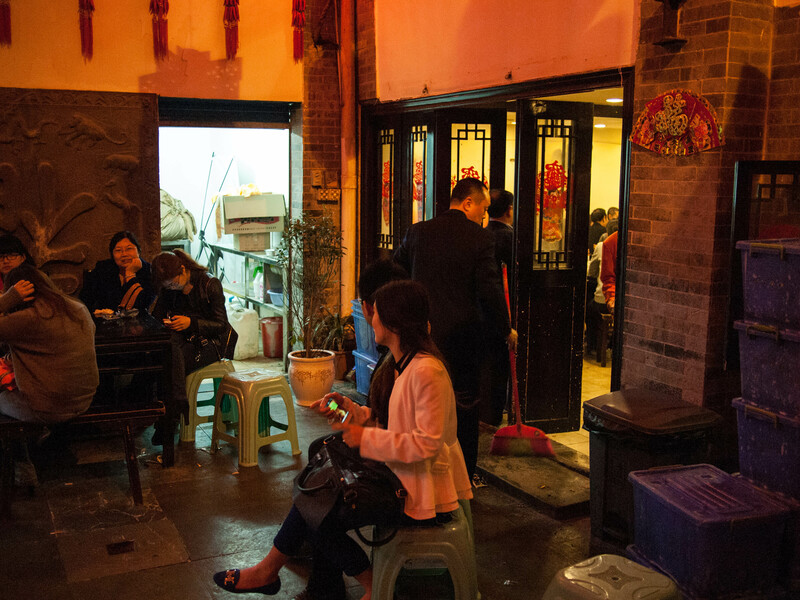 The name of the restaurant was simply 四合院 sì hé yuàn; this is what traditional courtyard houses were called in China. 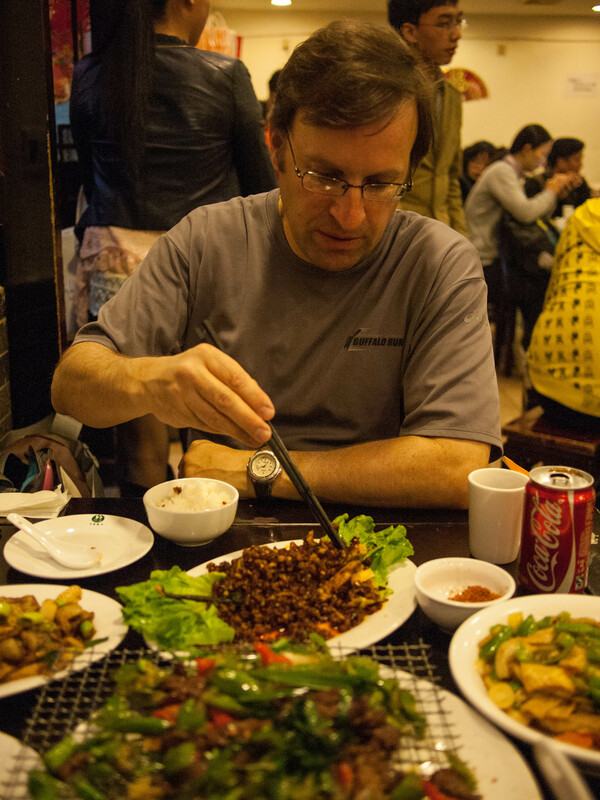 April, 2013 my side kick Michael and I were in Guiyang for a few days to check out the cuisine. We weren’t expecting much, especially when we arrived at the bus station outside town. It was pretty gritty and teaming with peasants and workers. 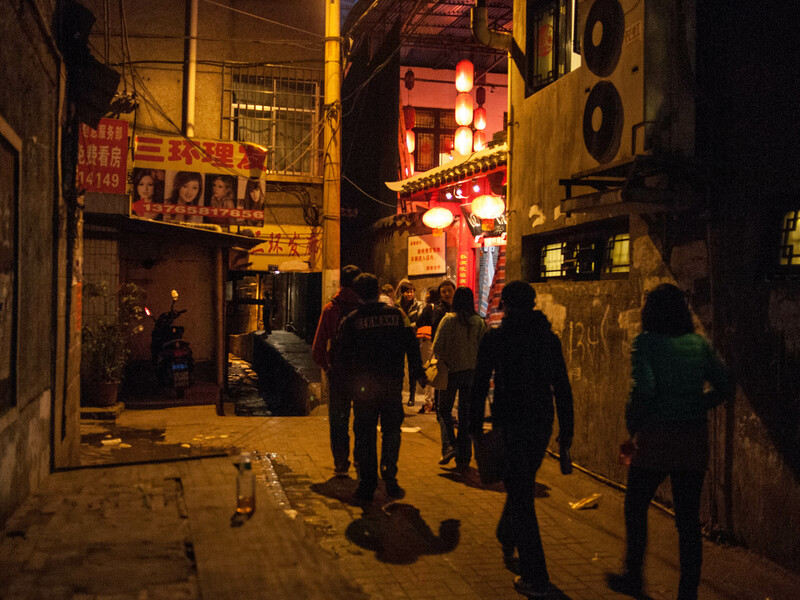 Guizhou is China’s poorest province. We boarded a local bus that brought us downtown. From there we walked to our hotel. 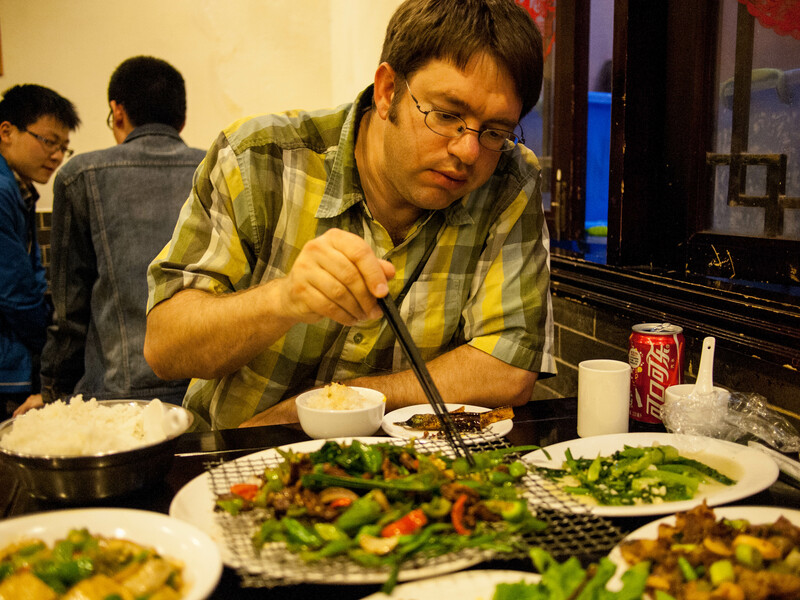 We were pleasantly surprised at what we found in Guiyang. We ate well. 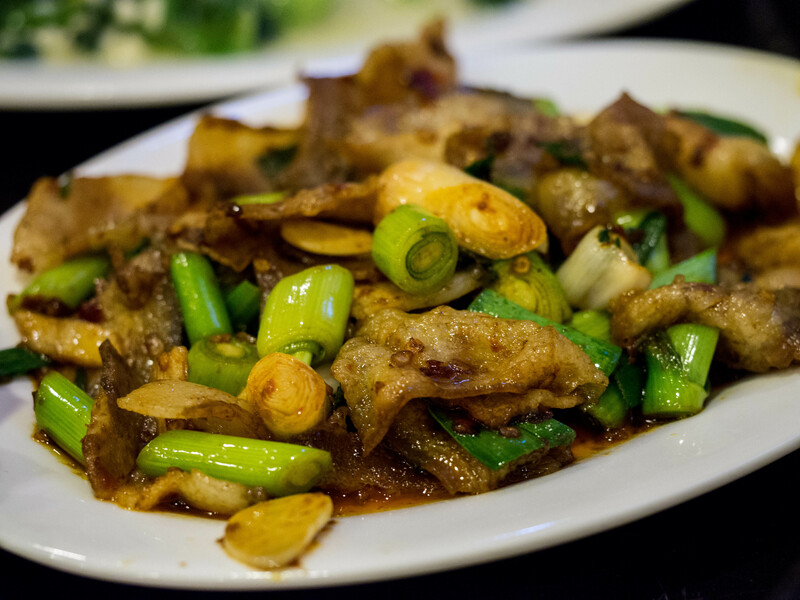 There was a definite influence from Sichuan cuisine with spicy chili peppers, Sichuan pepper, and fermented soy beans. One night we had a spectacular meal. We read about it on a Chinese foodie blog. It wasn’t easy to find tucked away down an unmarked alley. 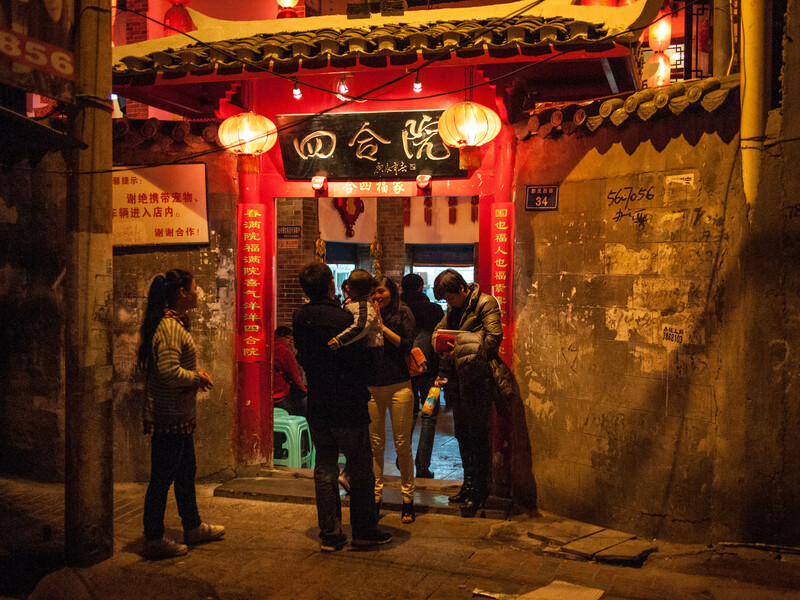 The restaurant was at the back of this alley and on the right, where the red lanterns are hanging. We were excited when we arrived as the place was packed, with lots of people waiting outside in the courtyard. It was loud, crowded, dirty, chaotic. Perfect. All the ingredients for a good meal in China. People waiting outside in the courtyard. Inside the restaurant. Loud, crowded and trash all over the floor. The kitchen spilled over into the dining room. We decided on five dishes. We typically talk to the server and ask what the restaurant is famous for, what are the best dishes. 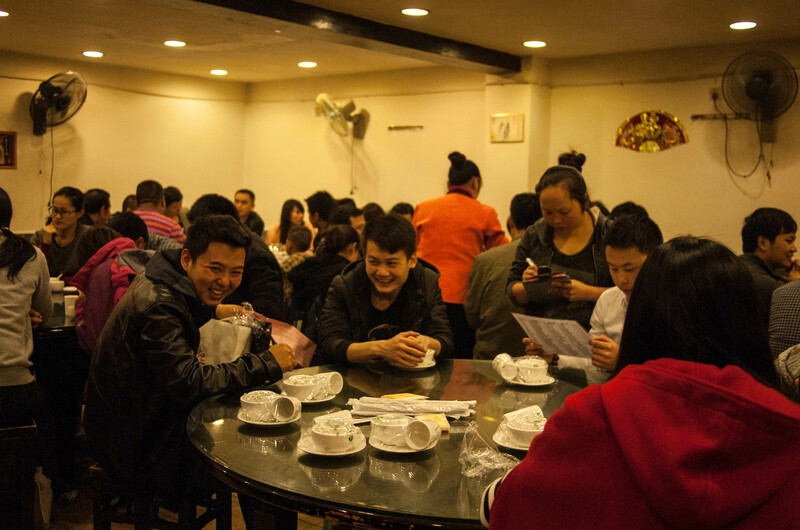 We wanted to get some popular local dishes, dishes that were typical of Guiyang. We were not disappointed with her recommendations. This is what we ate. We were a little perplexed by the name of this dish. It certainly didn’t look or taste like bamboo shoots. The waitress told us it was a local, popularly eaten vegetable. 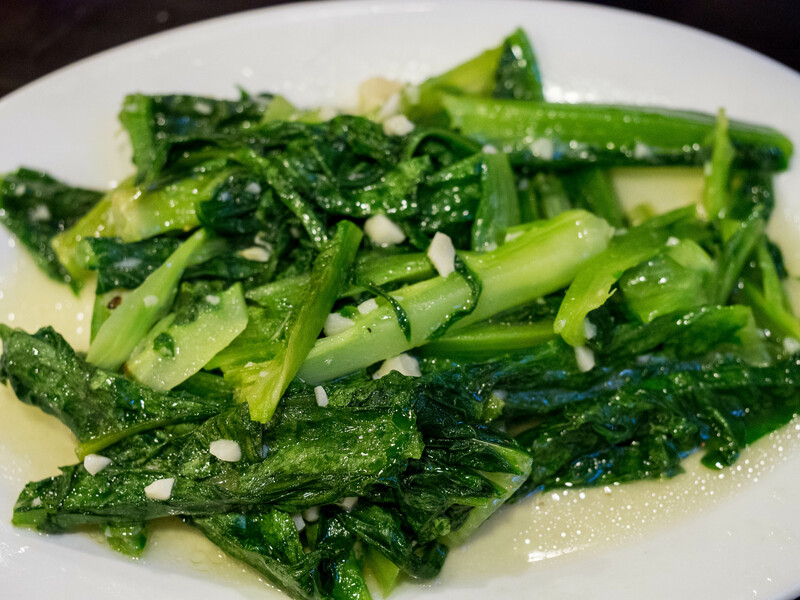 It was prepared very simply, stir-fried with garlic and was crunchy, buttery, and delicious. The name of this dish tells us nothing about what it is. Literally it is something like “jade rows, three strings.” It probably has something to do with the symmetric tofu glistening like jade. The three strings refers to the slender cut chili peppers. This was a pretty good dish. 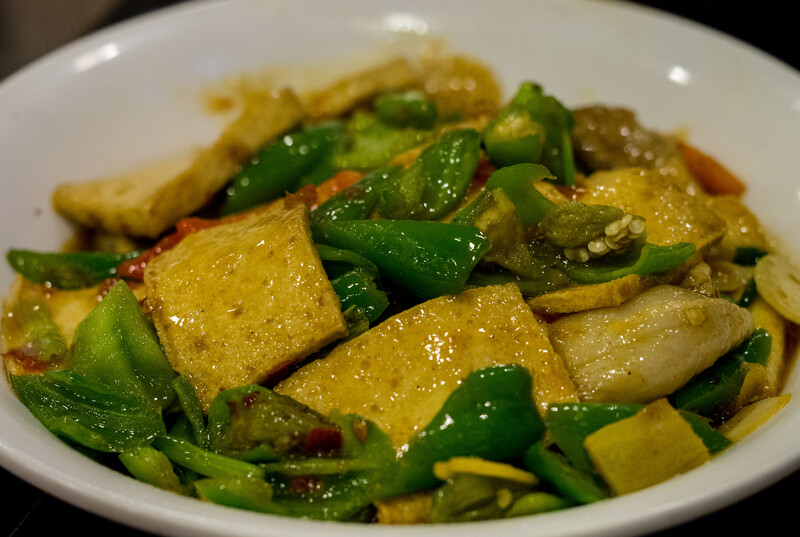 The sliced tofu was stir-fried with fatty pork, green chili peppers, red bell pepper, a little tomato, and some ginger. The sauce was rich and complex. The crunchy vegetables provided a nice counterbalance to the smooth, silky tofu. 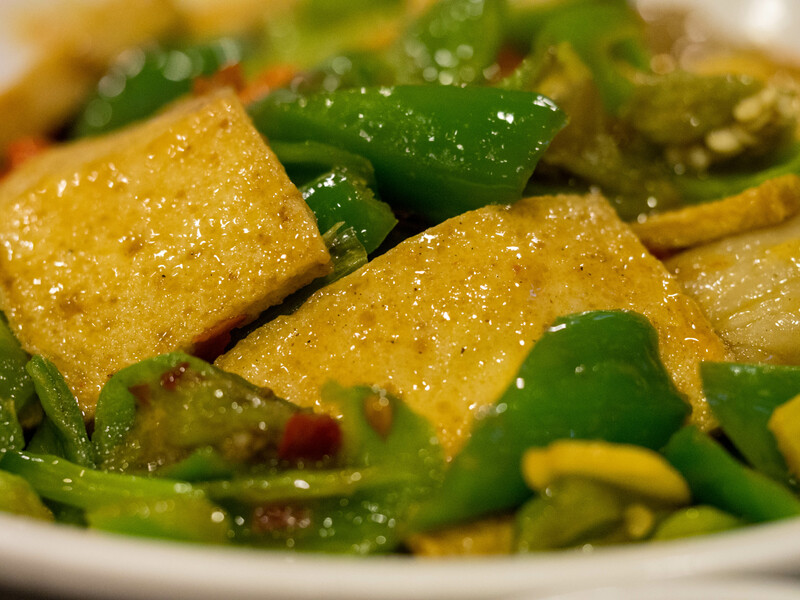 One of the many wonderful things about tofu is that is readily absorbs the flavors of whatever it is cooked with. Tofu is eaten all over China and I like to see all the different ways it is prepared in different regions of China. 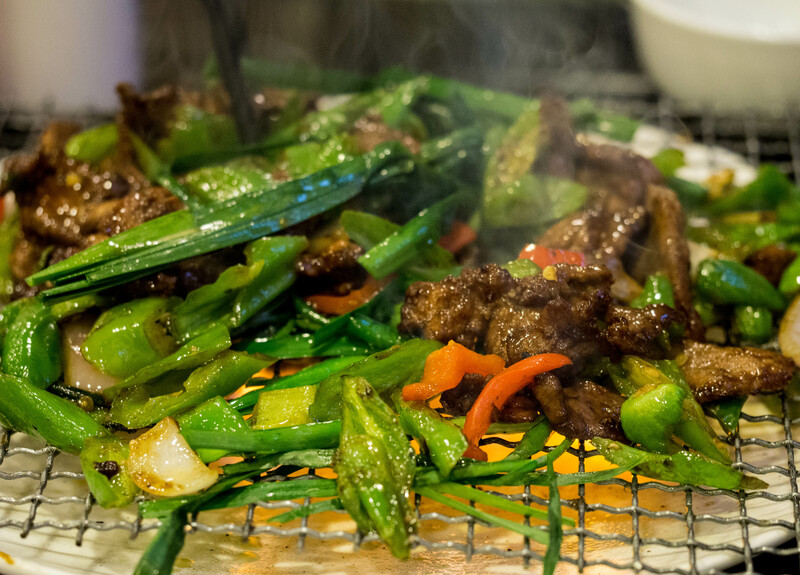 Tender beef and vegetables served over a flame. As you can see from the photo this dish was served on a metal grating over a plate. A flame was placed under the grate to continue the cooking and to keep it warm at the table. The beef was very tender—you could cut it with a fork, if you had one. It was cooked with garlic, ginger, purple onion, green pepper, green chili, red bell pepper, all on top of a base of the green tops of scallions. Ground Sichuan pepper corn was sprinkled over the top. This dish was excellent. I’m not a big beef eater, but his was very tender and fresh. 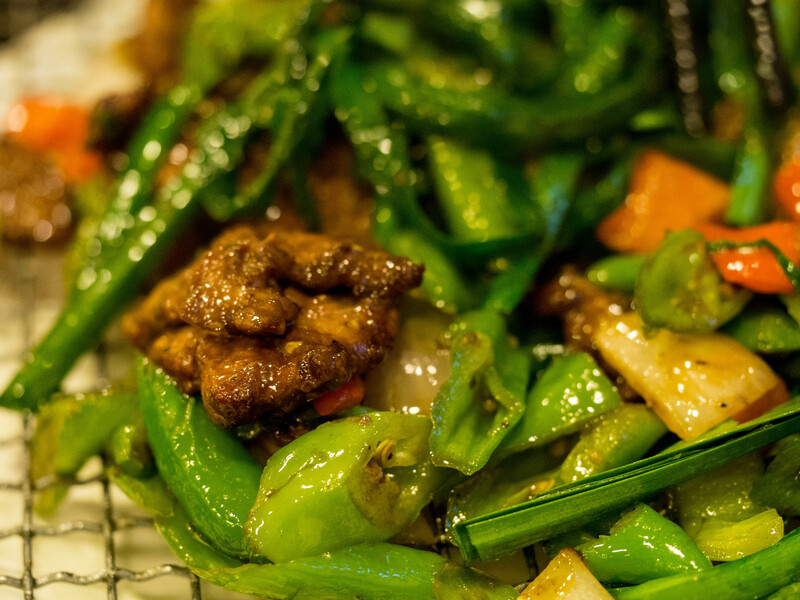 The vegetables provided a good balance of spicy and mild flavors. One more shot of this excellent dish. There is nothing really special about this dish. 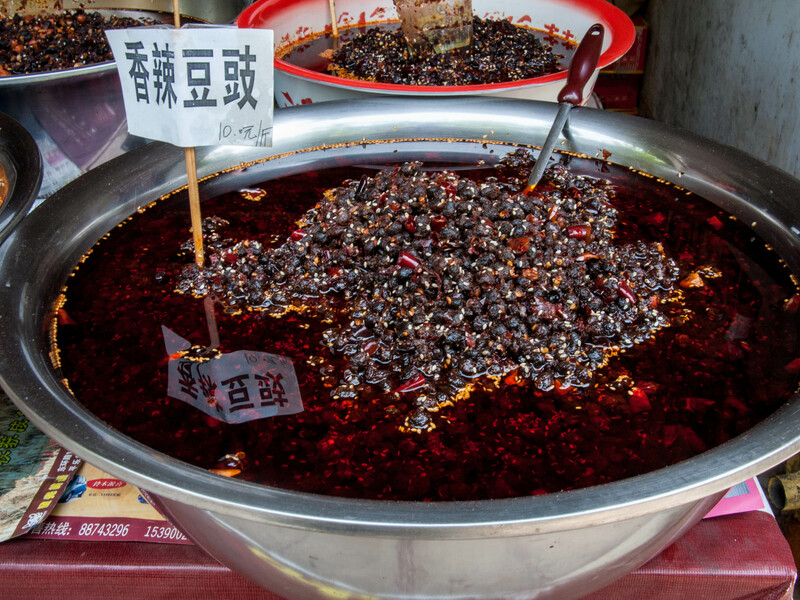 It is one of those ubiquitous dishes in China that can be found just about anywhere. 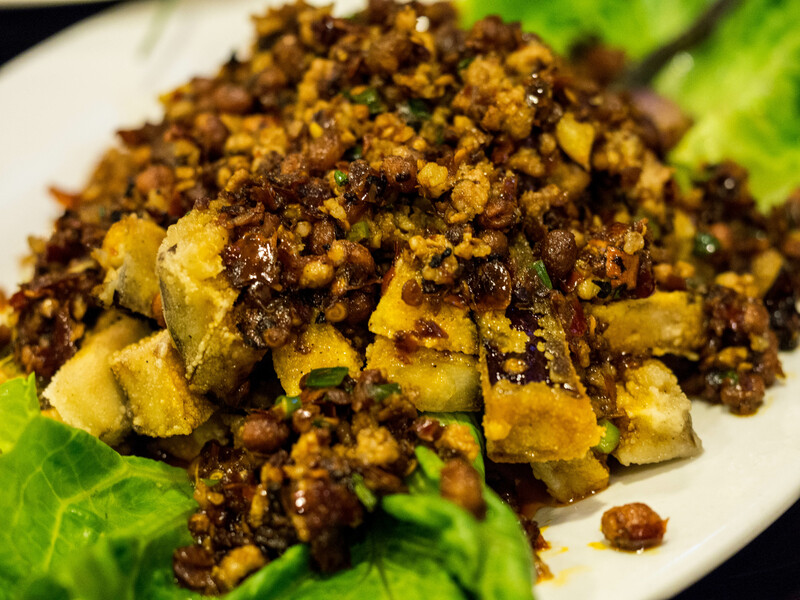 It probably comes from Sichuan Province somewhere, but it is one of those dishes that has become Chinese comfort food and everyone has their own version of it, just like Mapo Tofu, scrambled eggs with tomatoes and so on. 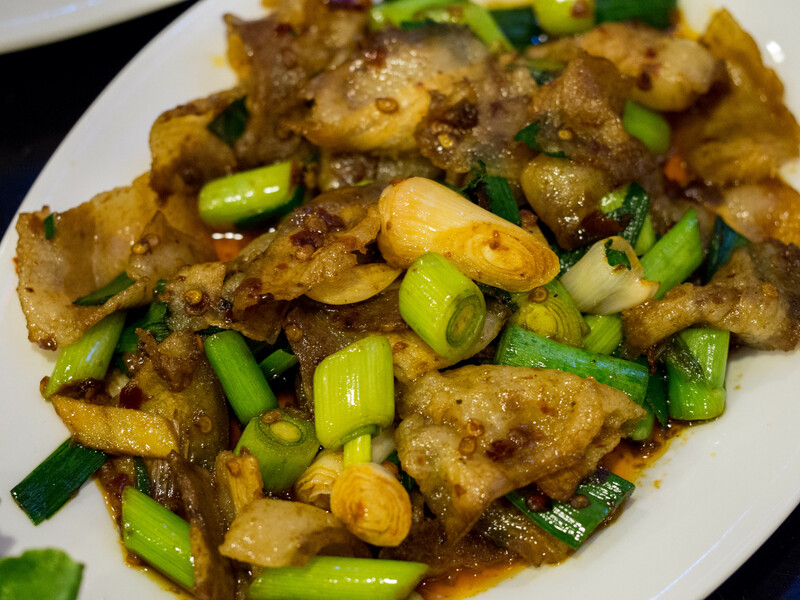 The dish is made with fatty pork belly that is simmered in water with various seasonings. 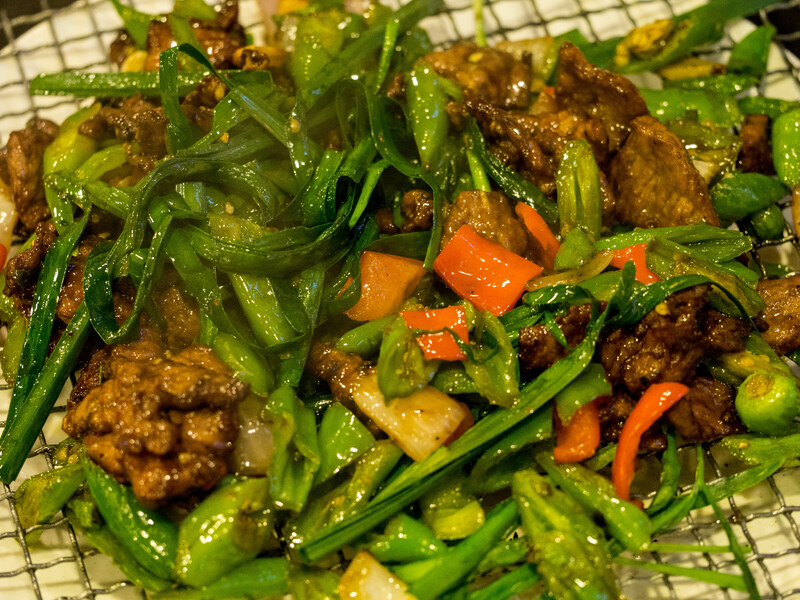 It is then cooled, sliced thin, and thrown into the wok to cook with the vegetables. 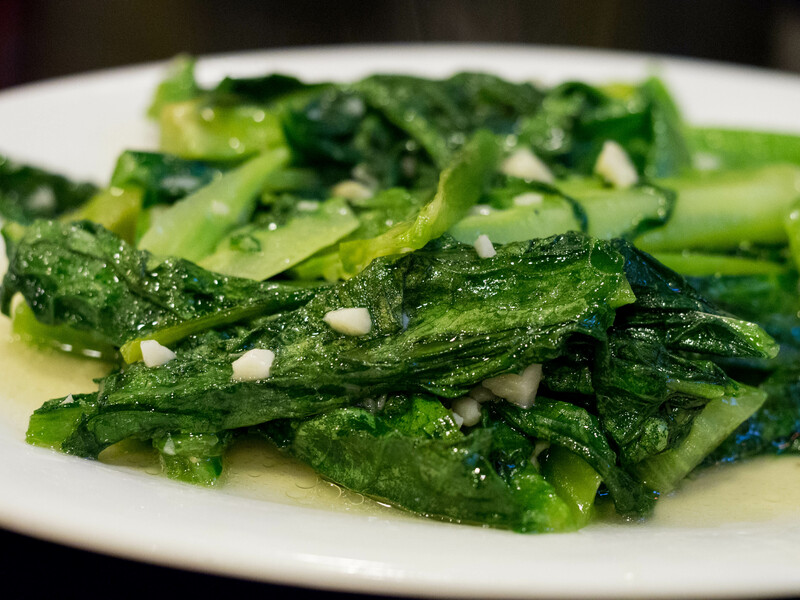 We sometimes like to order these very common dishes to see how it differs in different regions of China. This was a pretty good version of this popular dish. Cooked with lots of sliced scallion and a little minced chili pepper. I saved the best dish for last. This was truly an extraordinary dish. 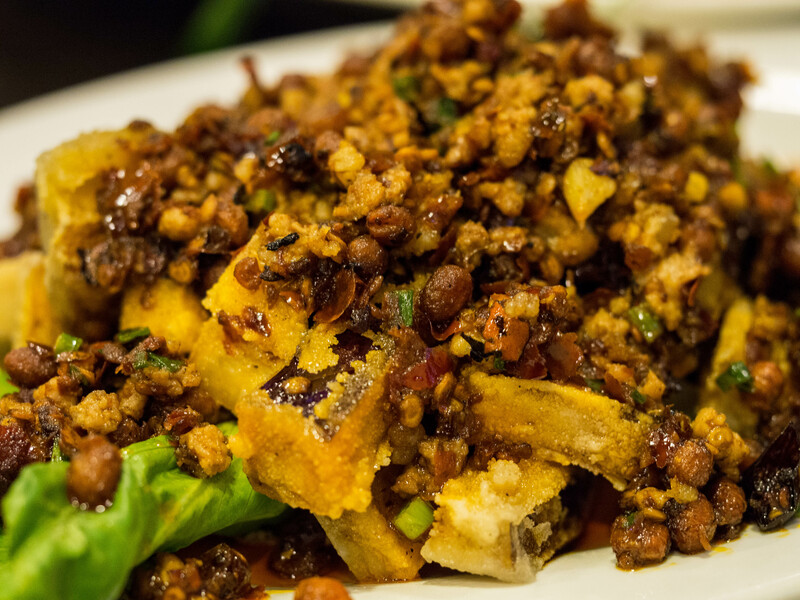 The thing that made this dish so good, and unique to this part of China, were the fermented and seasoned soy beans (豆豉 dòuchǐ) that you can see smothering the eggplant. Earlier on this trip when we were in a rural part of Sichuan Province we were in a small village where they were selling numerous variations of these seasoned and fermented soy beans. Some versions had beef and others just had chili peppers and who knows what other delectable seasonings. Vendor selling fermented and seasoned soy beans. This one is a “fresh, spicy” version. This dish was prepared by taking a long eggplant and cutting it lengthwise, then cutting it crosswise and deep frying it. The eggplant ended up in chunky sticks, like big french fries. 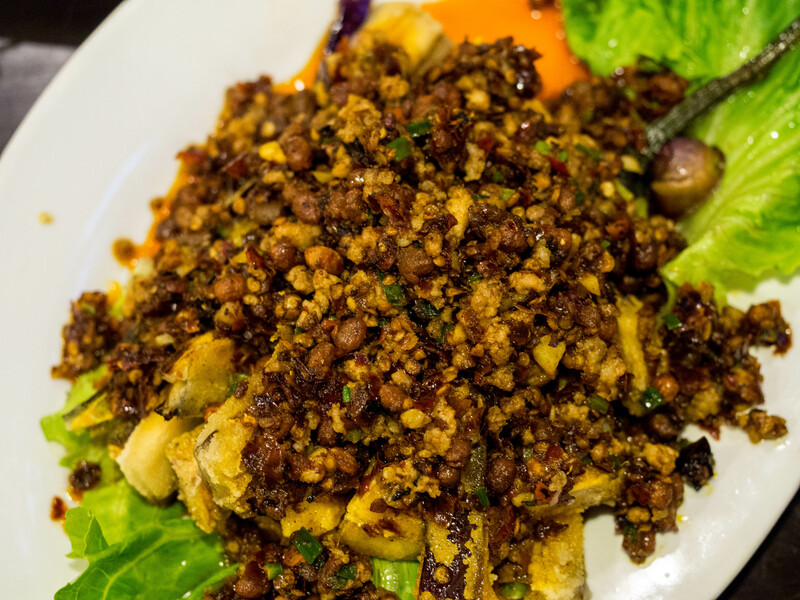 The soy beans were then mixed with minced pork, dried chili, and a little green chili. The soy beans have a wonderful chewy texture with the occasional crunch for those that got cooked a bit too much in the wok. They are at once salty and spicy and full of rich, dark, earthy flavor (not at all like soy sauce). Eggplant, like tofu readily absorbs the flavors of what it is cooked with. This dish was a revelation and I just couldn’t get over how delicious the soy beans were. It was by far our favorite dish at this meal. 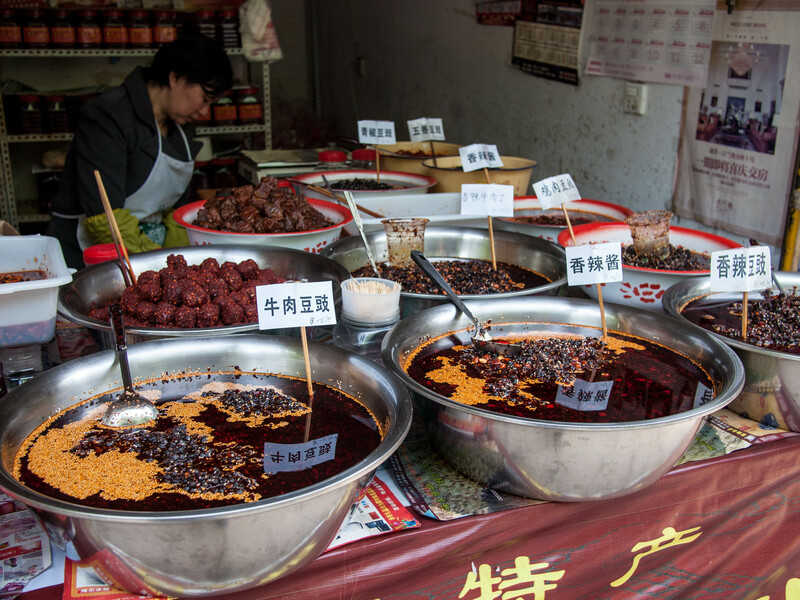 Fermented and seasoned soy beans are very popular throughout Sichuan, Guizhou, and Yunnan Provinces. Each region within these areas have their own versions. It is truly a wonderful ingredient. I would love to find some here in the States. Just the sight of this dish is driving me mad (with hunger). One last shot of this extraordinary dish. We walked out of this tucked away restaurant marveling at how good the meal was. 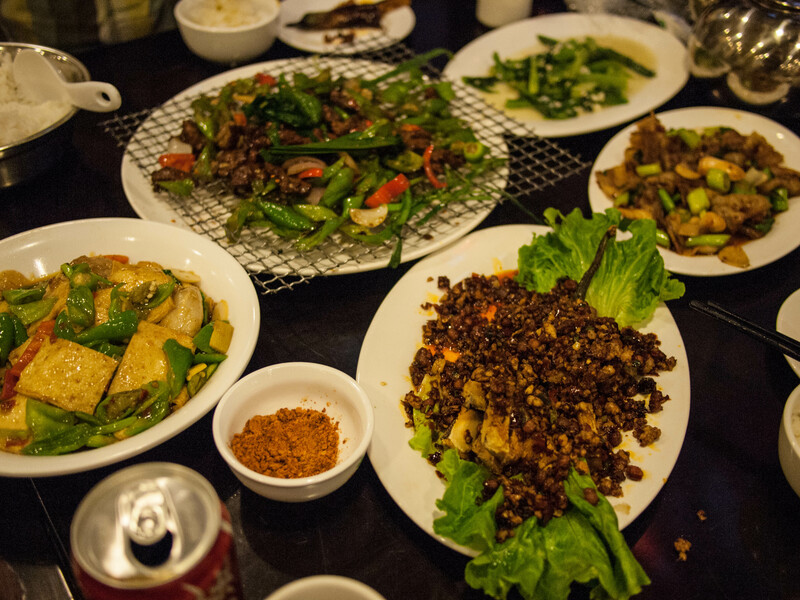 We couldn’t believe that Guiyang, the capital of Chinese poorest province (Guizhou) would have such fantastic food. Though the other meals we had in Giuyang were not quite this good, they were impressive. We ate well for the three days we were there. The other highlights were some really good bowls of noodles. Good meals make me happy!